This kitchen island is teeming with practical function, along with a great look. Customize it to your choice of color option for the body in a matte or antique finish. One side of its top is a removable butcher block that is perfect for chopping vegetables and even has a hole leading to a removable waste container for easy clean up. The other side of the island top is fixed durable stainless steel that is also easy to clean and resistant to damage from heat. A drop leaf at the back of the island creates more working surface or a place to pull up stools for eating. Additional storage includes two magazine racks, three spice racks, and six drawers, which includes one with a knife rack, one with the waste container for use with the butcher block top, and one with a utensil divider. The Gourmet Customizable Kitchen Island with Removable Butcher Block/Stainless Steel Top by Canadel at Godby Home Furnishings in the Noblesville, Carmel, Avon, Indianapolis, Indiana area. Product availability may vary. Contact us for the most current availability on this product. The Gourmet collection is a great option if you are looking for Transitional furniture in the Noblesville, Carmel, Avon, Indianapolis, Indiana area. 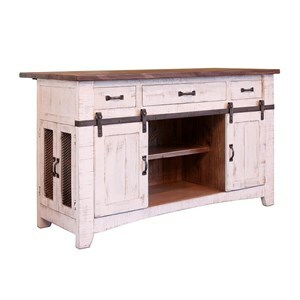 Browse other items in the Gourmet collection from Godby Home Furnishings in the Noblesville, Carmel, Avon, Indianapolis, Indiana area.